L.J. Anderson and Adam Mayers found these elk sheds to a Utah bull that scored 361 inches this spring in Cache Valley. Finding shed antlers is always a good time, but when you can stumble upon giant elk sheds like the ones in this picture, you’re really having a great day. 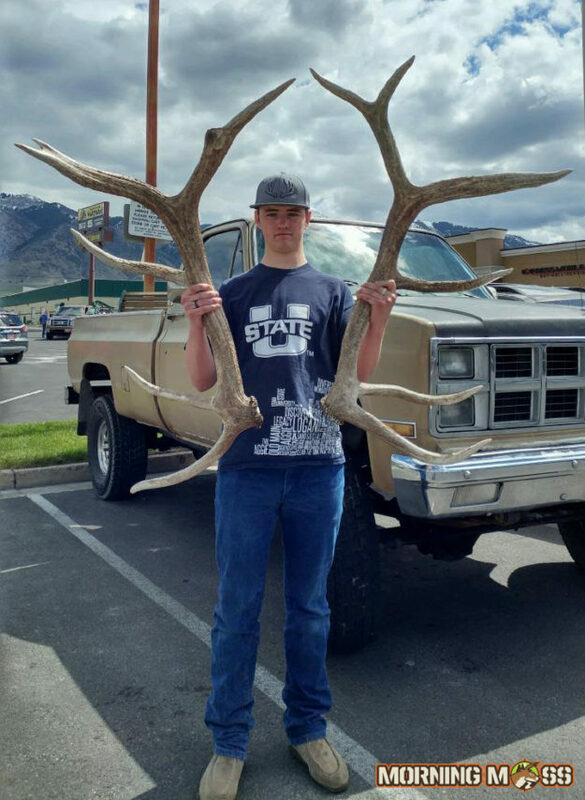 These massive sheds were found in Cache Valley, Utah by L.J. Anderson and Adam Mayers. 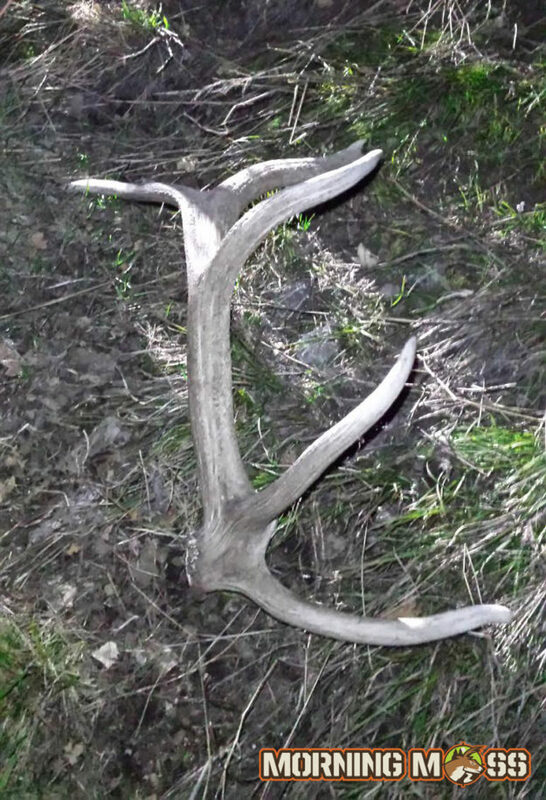 They found the sheds near 3 a.m. and had no idea this bull existed when they found them. The giant elk shed antlers were found near 3 a.m. in Cache Valley, UT. After they found the sheds the pair took them to Rusty Hall to have an official score done on the bull. The score came out at a whopping 361 inches, so a very big bull. 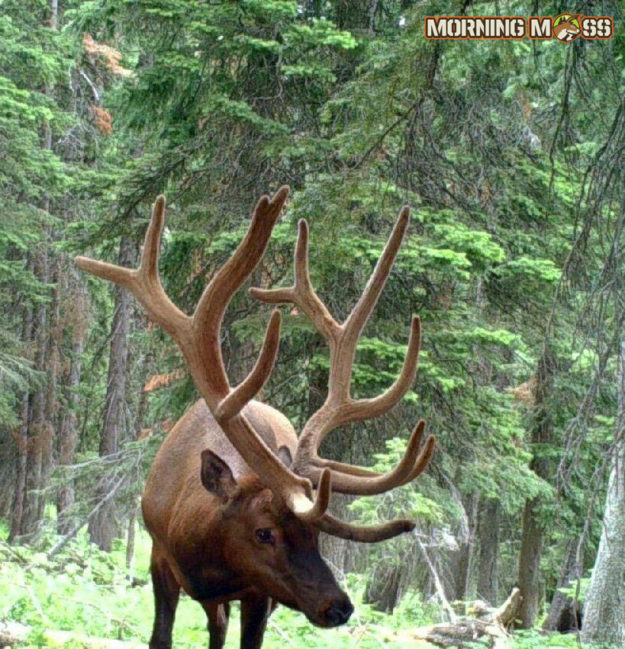 Here is a trail camera photo of the elk that the big shed antlers came off of. Hopefully we’ll see some more photos of this bull with the head attached during the next hunting season! Congratulations guys and everyone please send us your photos of shed antlers and fishing photos for our hunting and fishing fan section. Check out more shed antler hunting articles on MorningMoss.